I love all dogs but I have to admit I have a weakness for old dogs. Old dogs can be eccentric, grumpy, have odd habits and hard of hearing. But anyone who has ever owned an old dog knows that above all, they seem at peace. So how can we make life better for them? First and foremost, don’t miss any veterinary check-ups. Health problems associated with old age can advance quickly so it is important that nothing is missed in its early stage. I always recommend my senior clients to see their vet twice a year. Older dogs are more prone to dehydration so easy access to fresh water is very important. As dogs age they don’t burn calories as quickly as in the past so keep and eye on your dogs waistline. If you need to reduce the calorie intake the obvious solution is to feed less food but keep in mind that by reducing food you also feed fewer nutrients. Feeding nutrient dense foods is especially important when we need to reduce calorie intake. Vegetables, fruits, lean meat and poultry, fish and whole grains are all good choices. In addition to weight problems it can be difficult for our senior dogs to digest fat. It is important to not only consider the fat level but also the type of fat in your dog’s food. Wild salmon oil is superior to other fats. The omega 3 fatty acids found in fish oil are beneficial to the heart, skin, coat, brain, eyes and joint. Unless you are feeding a fish based diet I always recommend you add wild salmon oil to your dogs diet. Most veterinarians agree that 100 mg per kg of your dogs body weight is a safe dose. 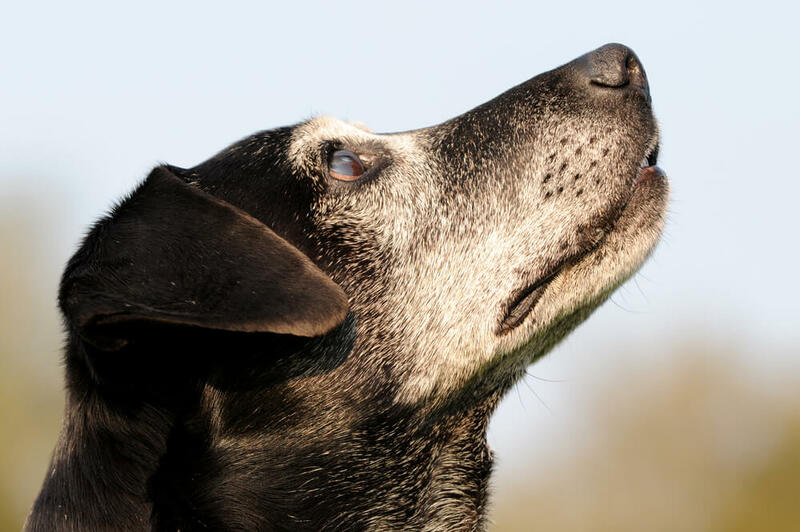 Unless a specific health condition such as progressed renal disease requires a reduce protein diet, older dogs benefit from more protein, not less. Protein is needed for several reasons; it supports the immune system, aids in wound healing, helps build lean muscle, and is required for healthy skin. It is not only the amount of protein that is important but the quality of the protein too. Protein quality refers to how well the body will use a given protein. Eggs, fish and meat have the highest ranking so don’t rely on a high protein food if the protein is derived from a plant-based protein sources. When dogs get older, joint support is more important than ever. Some commercial senior diets contain added glucosamine and chondroitin but mostly the amounts do not provide enough levels of support, especially if your dog is suffering from Arthritis. I suggest you give a joint supplement separately. Preferable one without sodium. Dogs respond differently to various supplements so start with a high dose so that you will be able to tell whether or not your dog responds. If you see improvement, you can then reduce the dosage to see if the improvement can be maintained on a lower dose. If you don’t see any change within six weeks, try another supplement. I use a human combined Glucosamine, Chondroitin Sulfates and MSM supplement which I have found works well for most dogs. Typical doses start at approximately 500 mg glucosamine and 400 mg chondroitin per 10 kg twice daily. Antioxidants are very important to any dog’s health. They protect the body’s cells from damage and strengthens the immune system. Fruits, in particular berries, and colourful veggies are packed with antioxidants. A few blueberries or raspberries on top of your dog’s dinner are all important super foods, but feed to many and you will properly be cleaning up diarrhoea. Some senior dogs don’t digest food as well as in the past. For these dogs Acidophilus and/or digestive enzymes can be really helpful. A dog with lack of appetite should be seen by your vet to rule out any medical issues. If it’s a case of a fussy eater you might just have to make dinner more exciting. You can try topping you dog’s food with a small amount of grated parmesan, sardine juice or mashed sardines, home made meat broth or dog safe baby food. Last but not least; get you old dog off the couch and out in the fresh air. Obviously you don’t want to push your dog into exercising more than tolerated but the body performs much better when it is exercised.